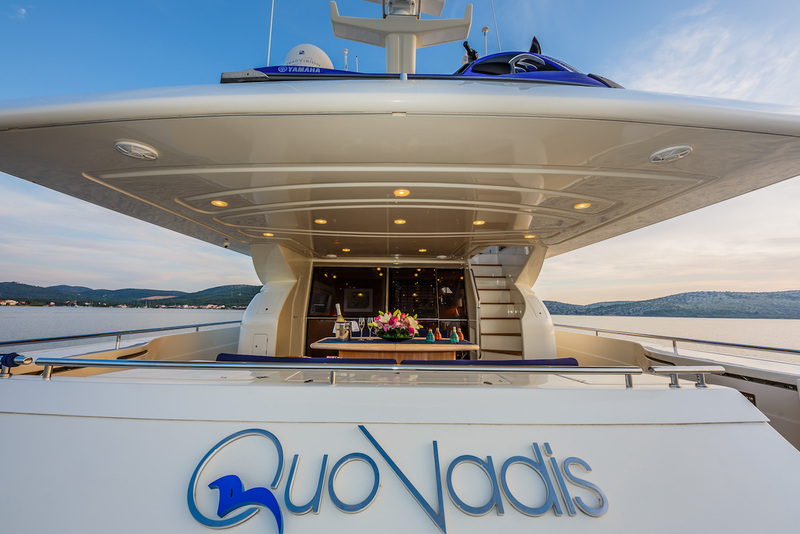 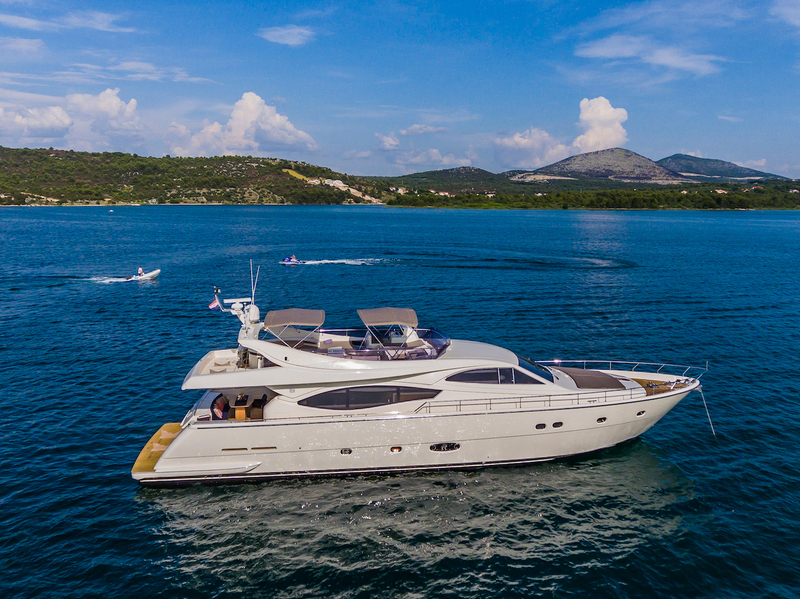 QUO VADIS I is a 23.45 metres (76' 11") luxury motor yacht, launched in 2003 and refitted in 2018. 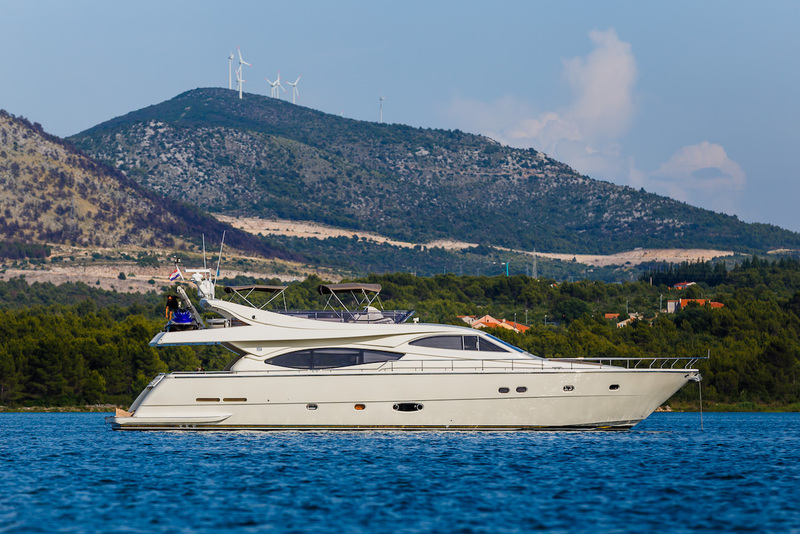 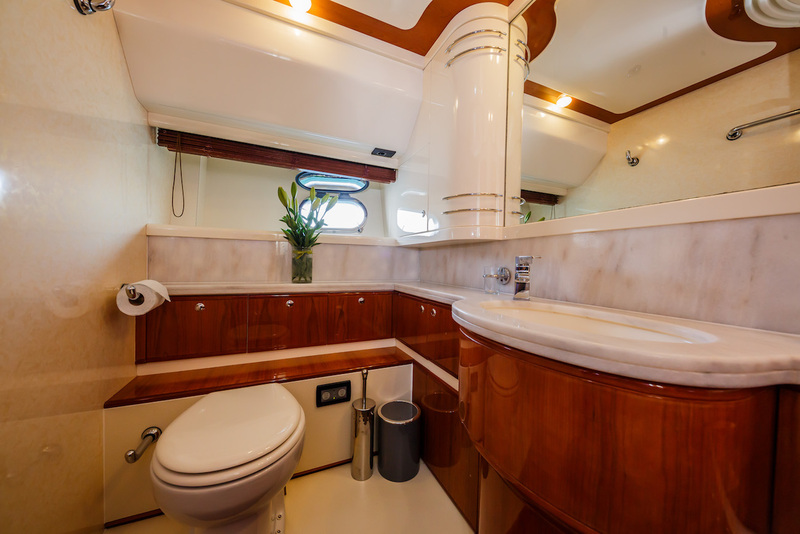 She was built by the Italian shipyard Ferretti with naval architecture and interior design by their in-house team of professionals. 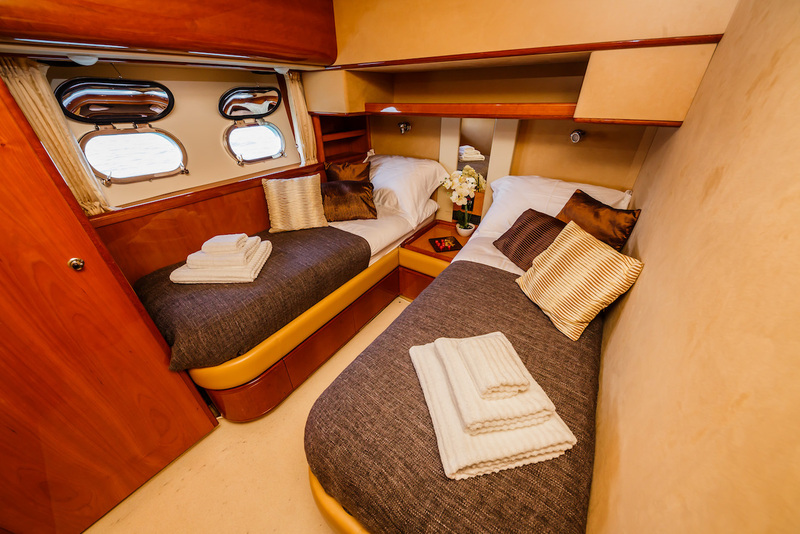 Accommodation on board is offered for up to eight guests in a four-cabin layout. 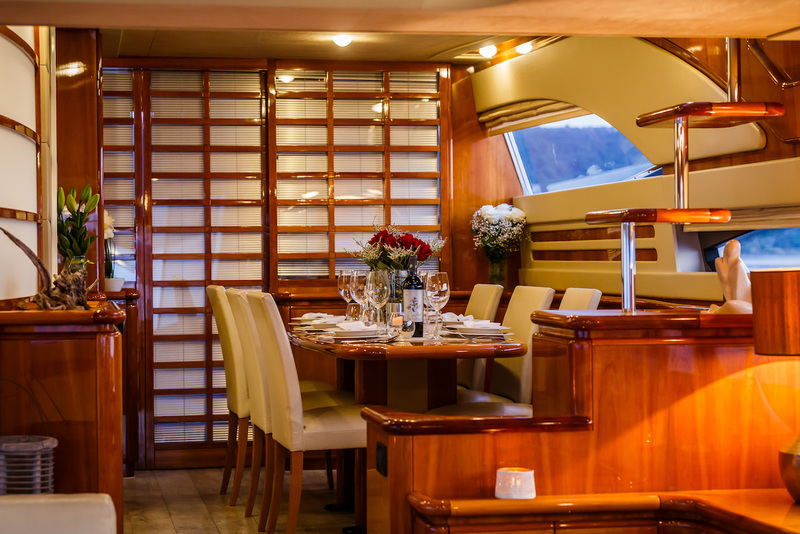 Guests arriving by tender can disembark onto the lower deck swim platform to reach the main deck aft, where there is a sofa fitted to the stern and a large table and additional chairs form an alfresco dining area or place to relax with hobbies. 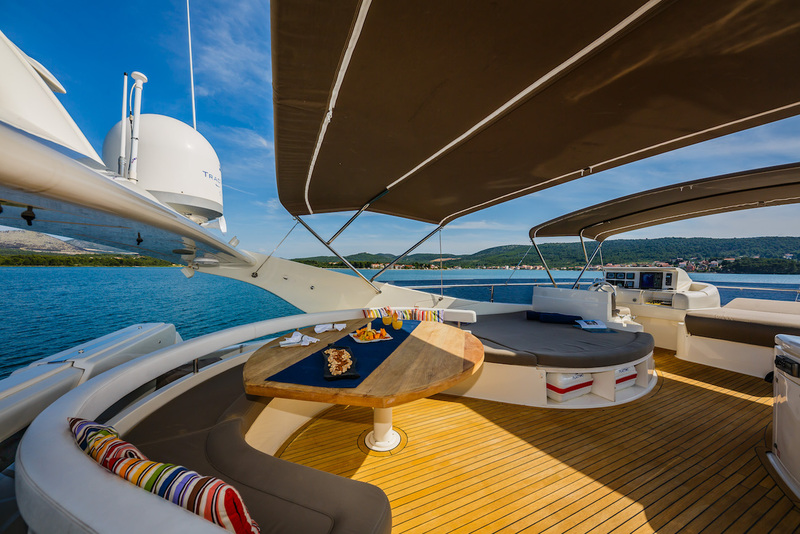 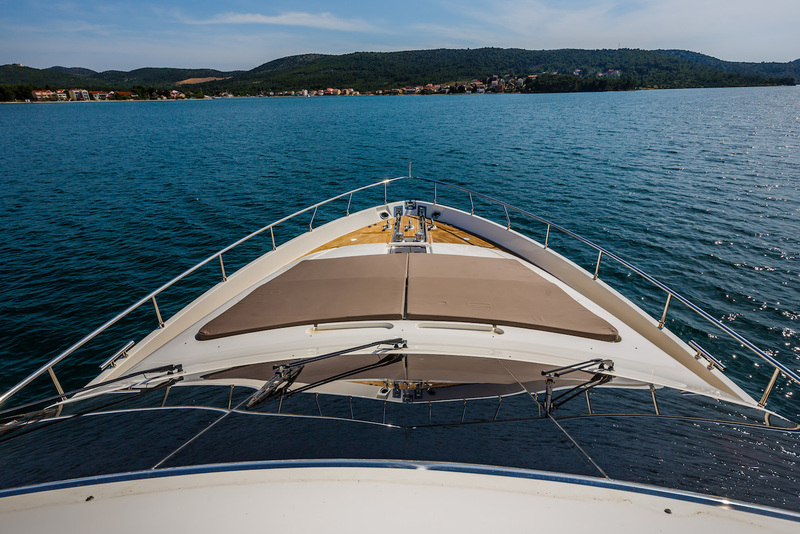 Alternatively, the foredeck is fitted with a row of sunpads for uninterrupted views while taking in the sunshine. 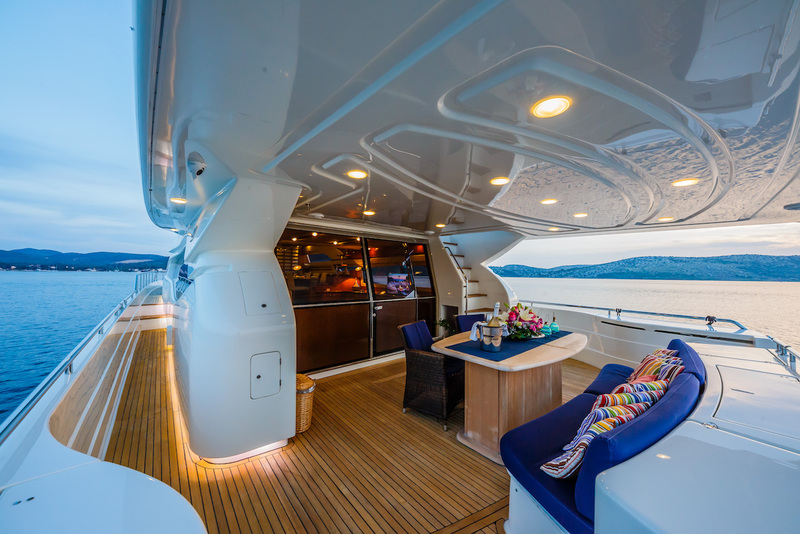 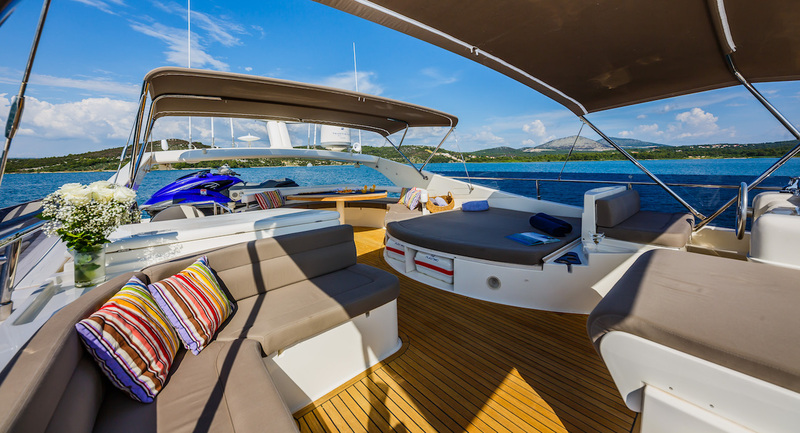 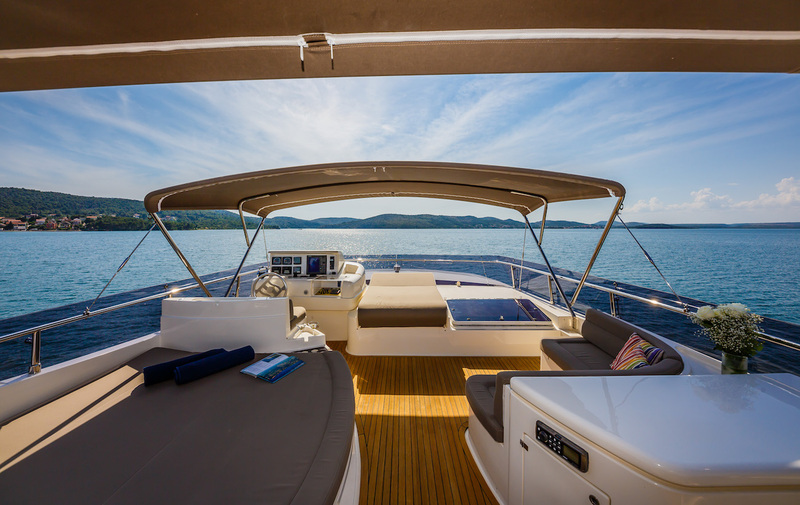 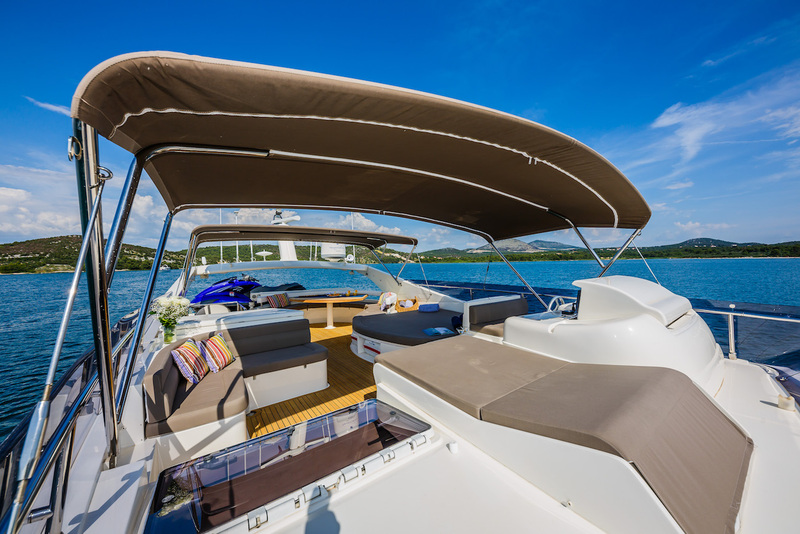 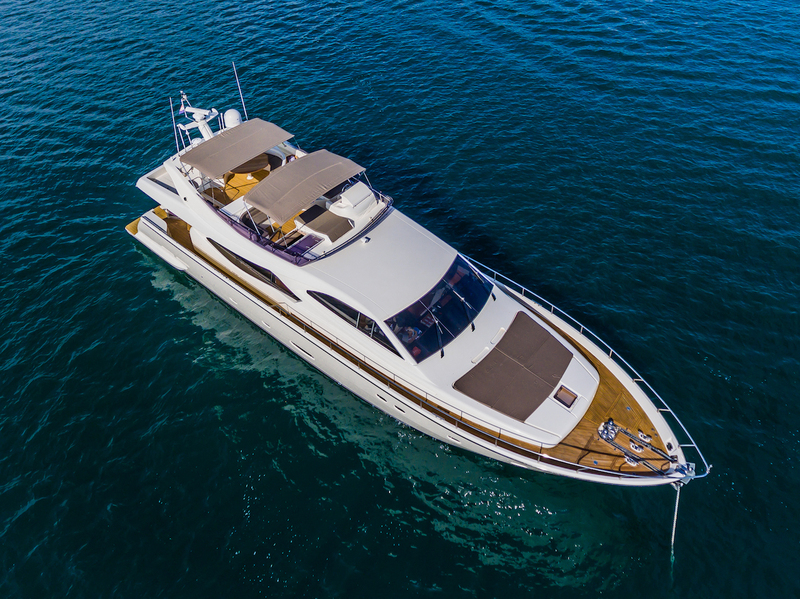 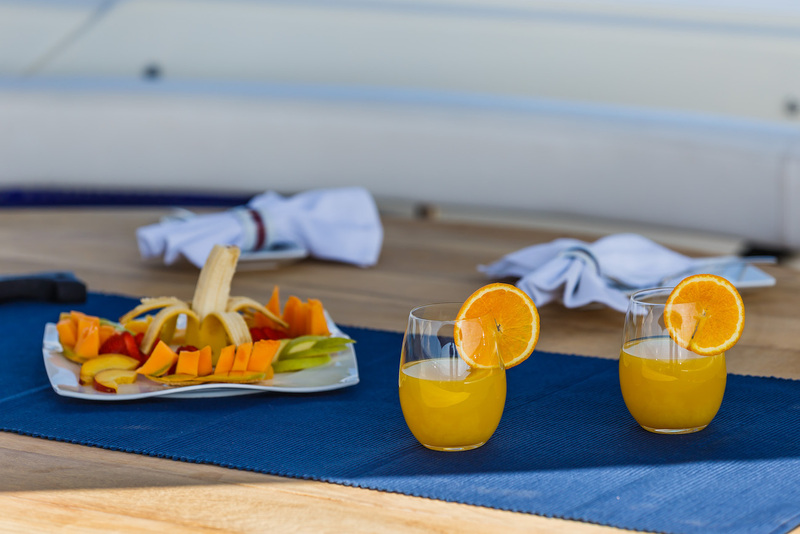 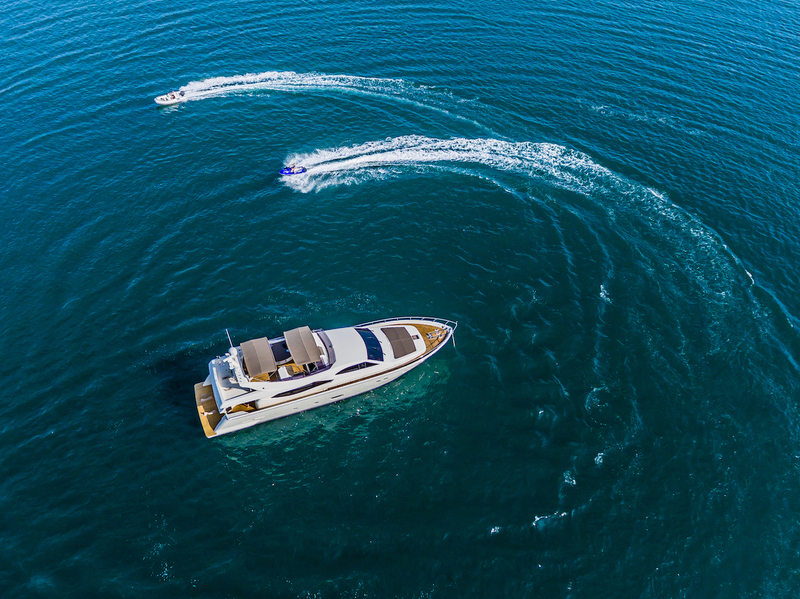 On the flybridge, bimini shades can be erected for long periods of outdoor use and the setting contains a forward sunpad, a curving sofa amidships with a larger sunpad opposite and wet bar behind, plus a large, casual alfresco dining area fitted into the stern. 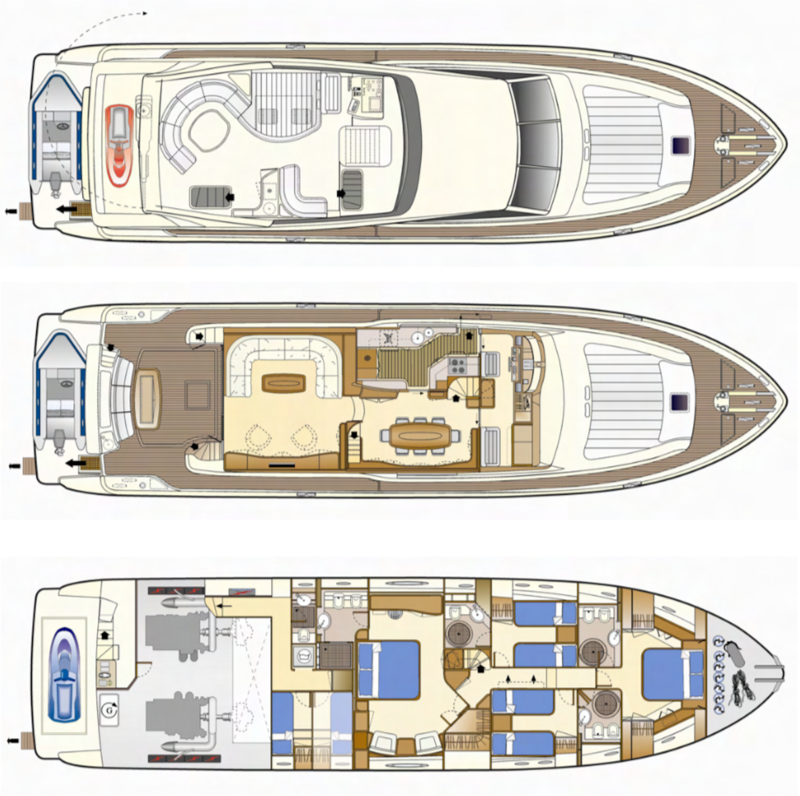 The tender is stored in the stern followed by the engine room and the crew accommodation. 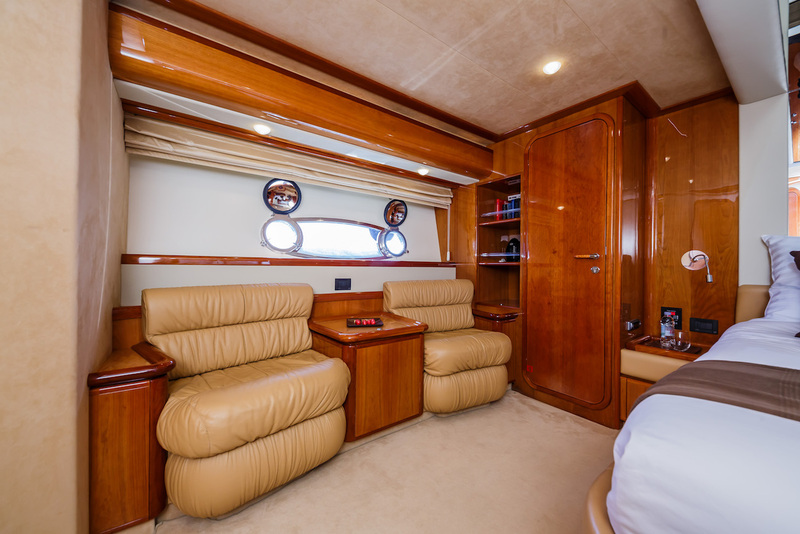 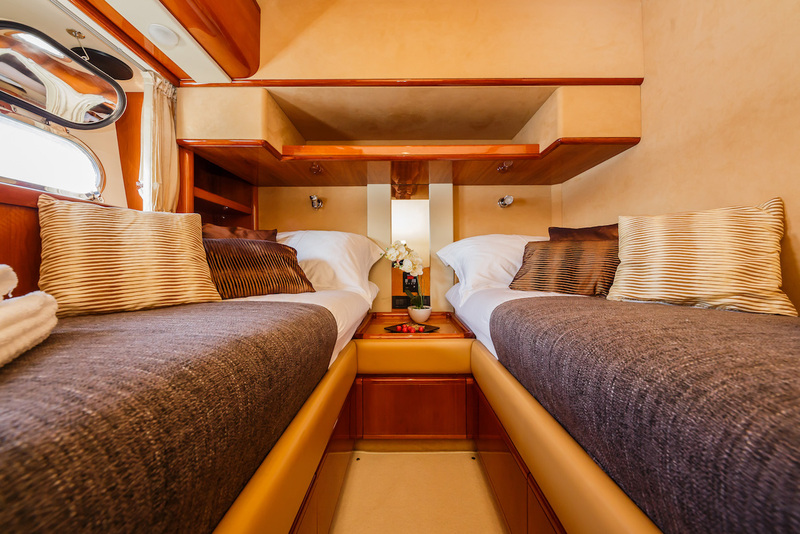 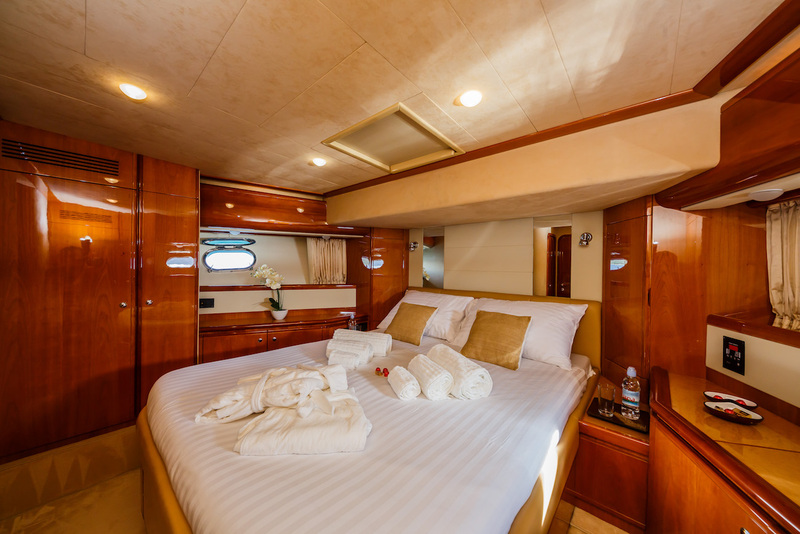 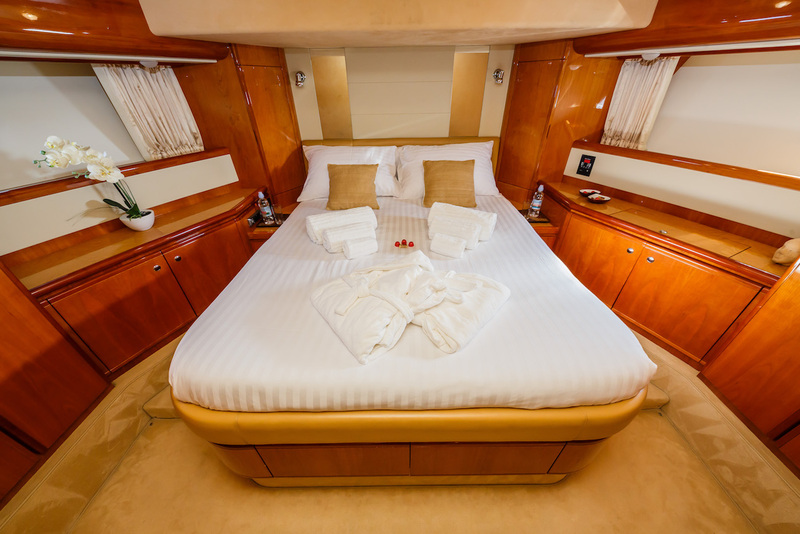 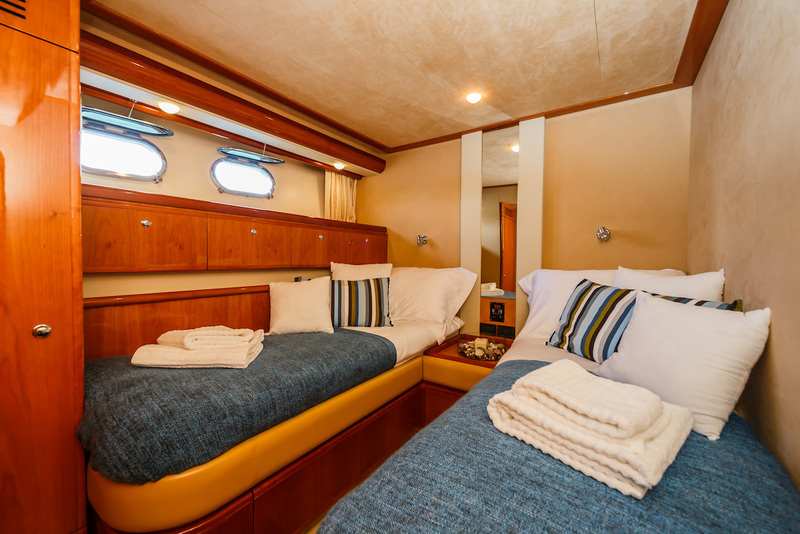 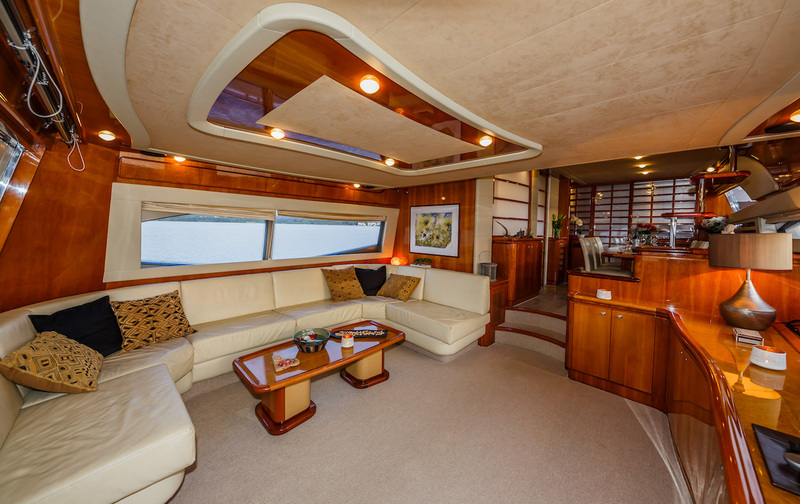 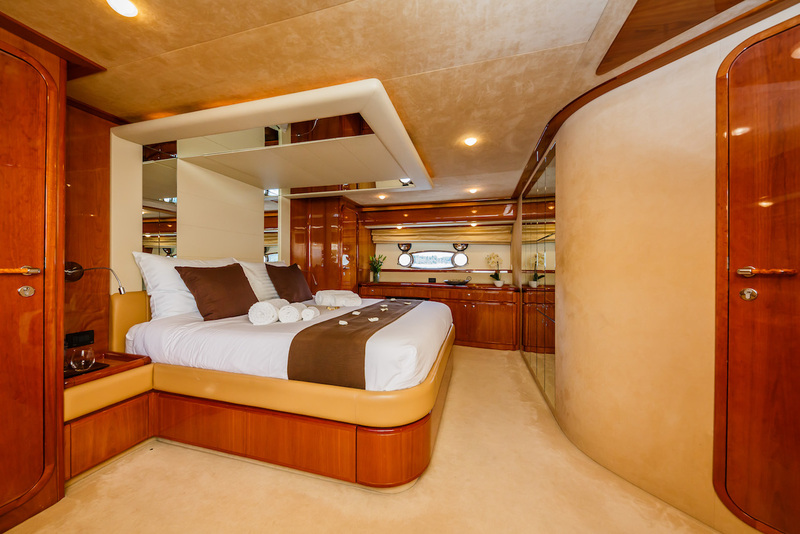 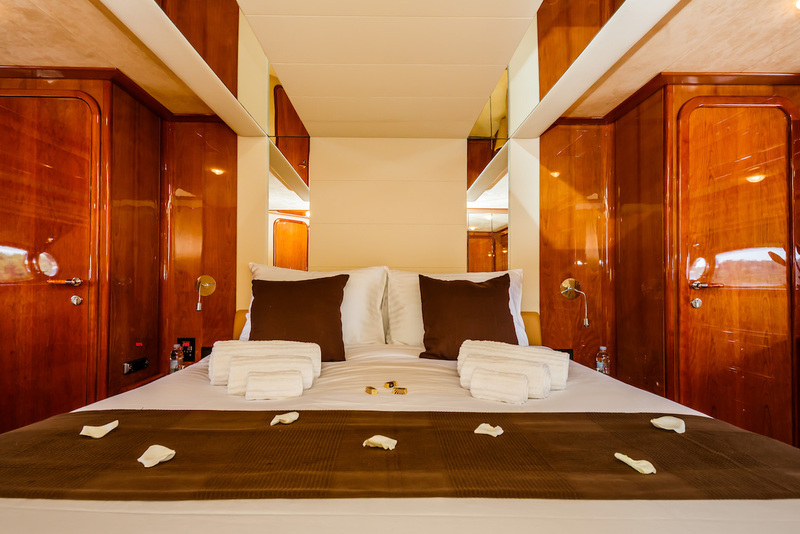 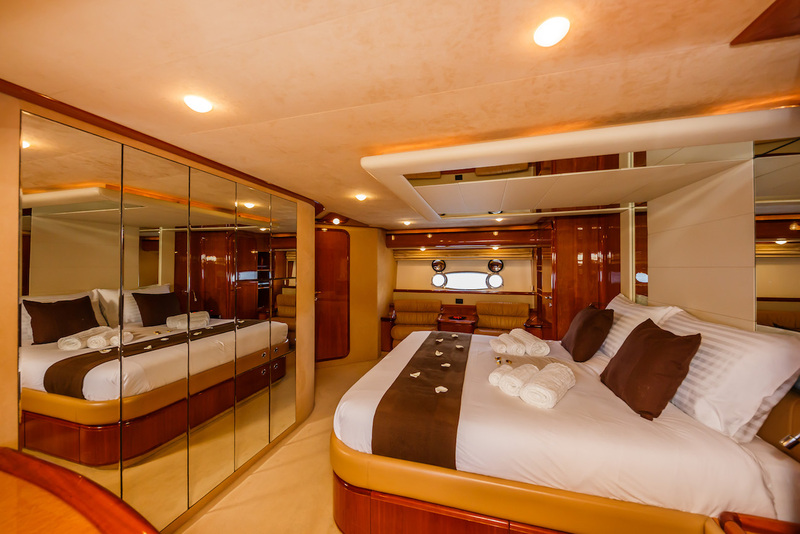 The Master suite is positioned amidships and contains a sofa, deck, walk-in wardrobe and en-suite bathroom. 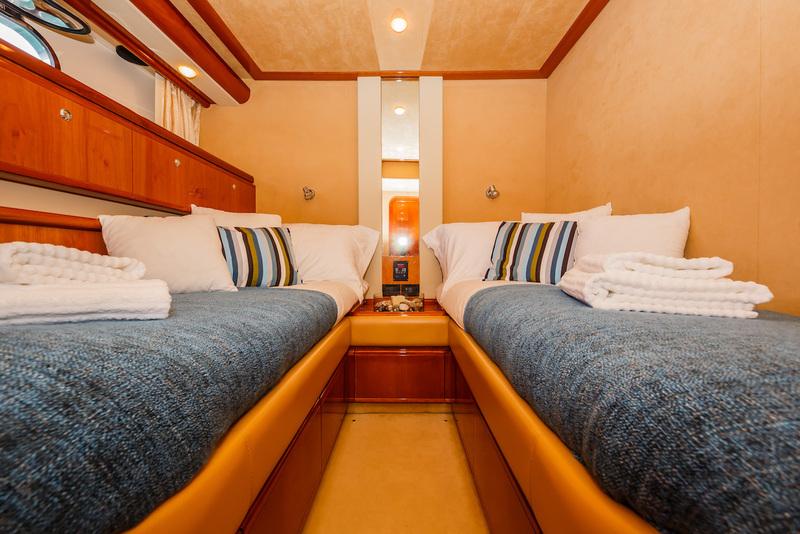 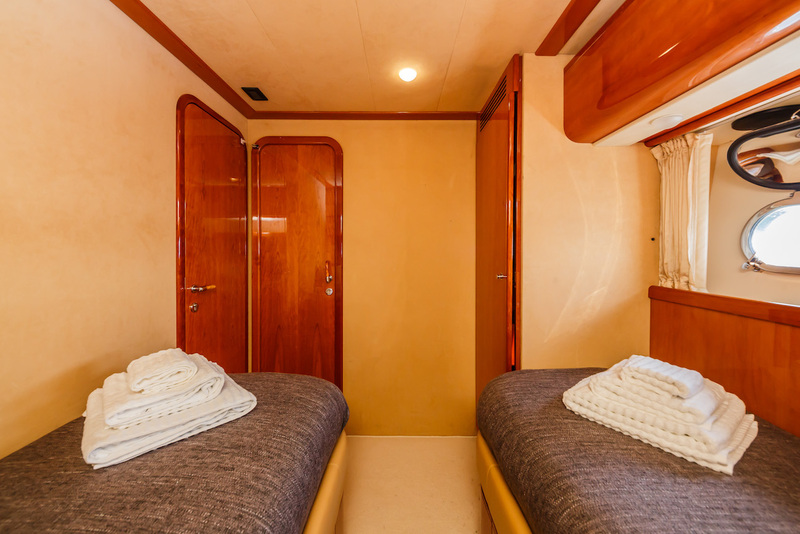 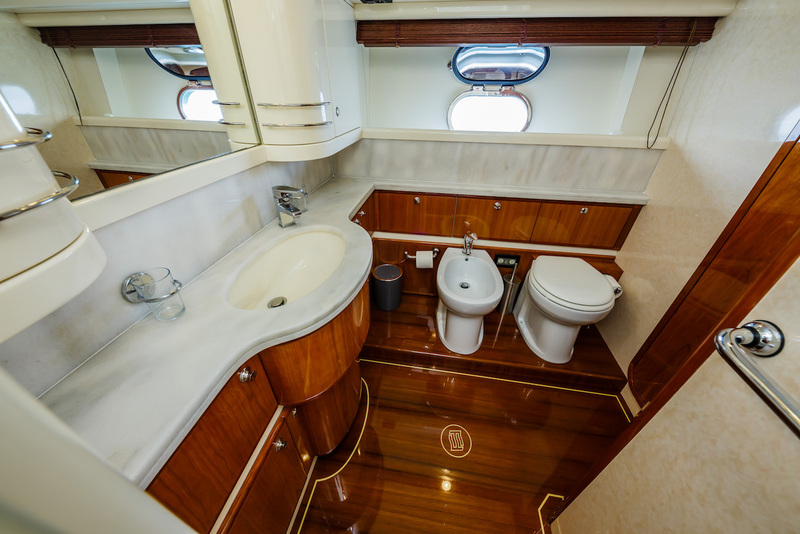 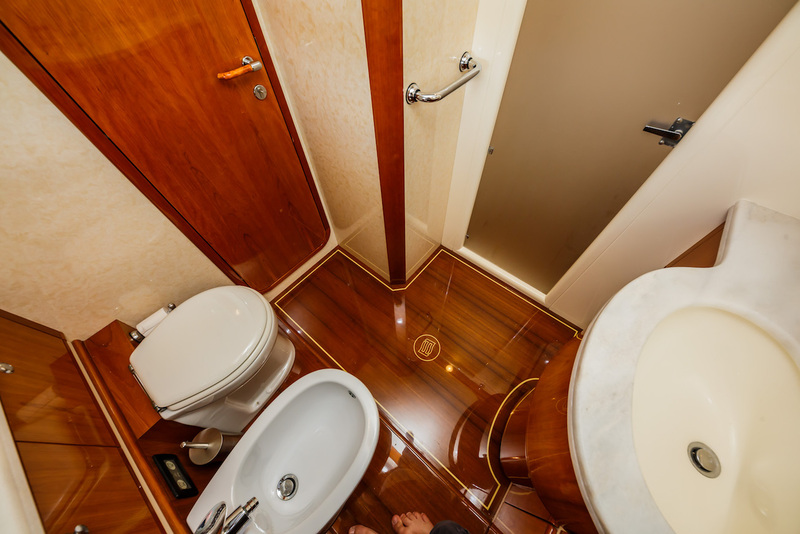 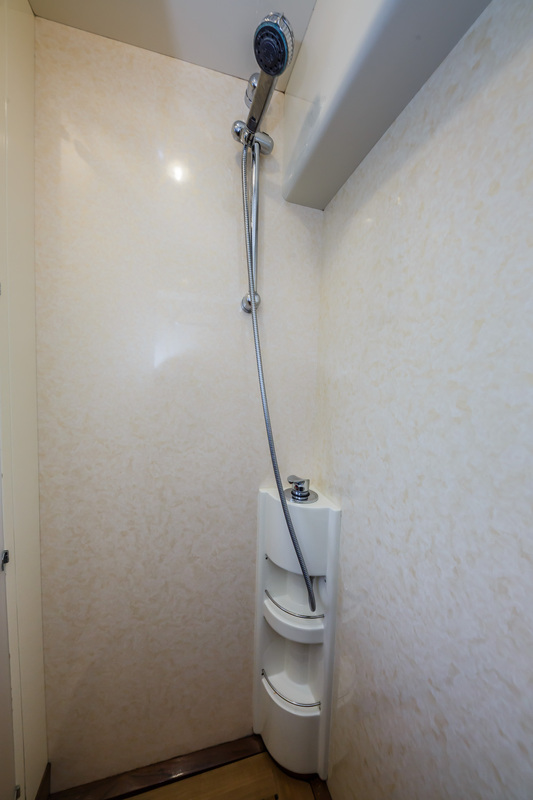 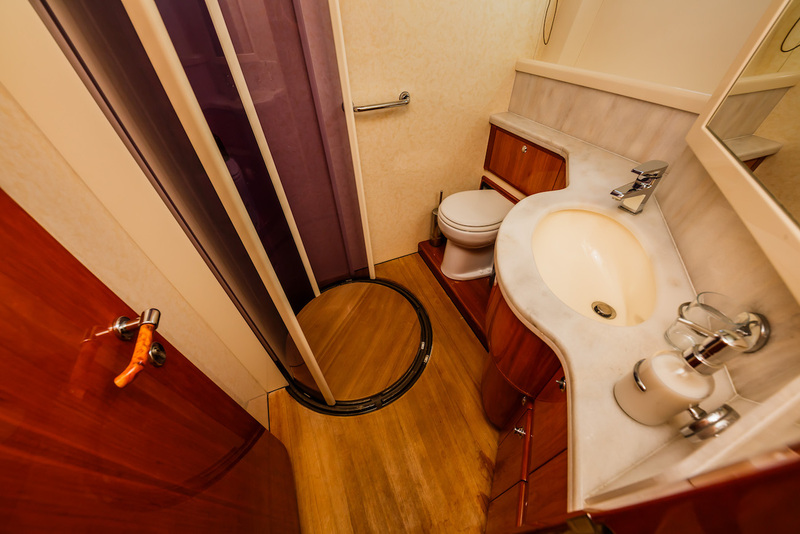 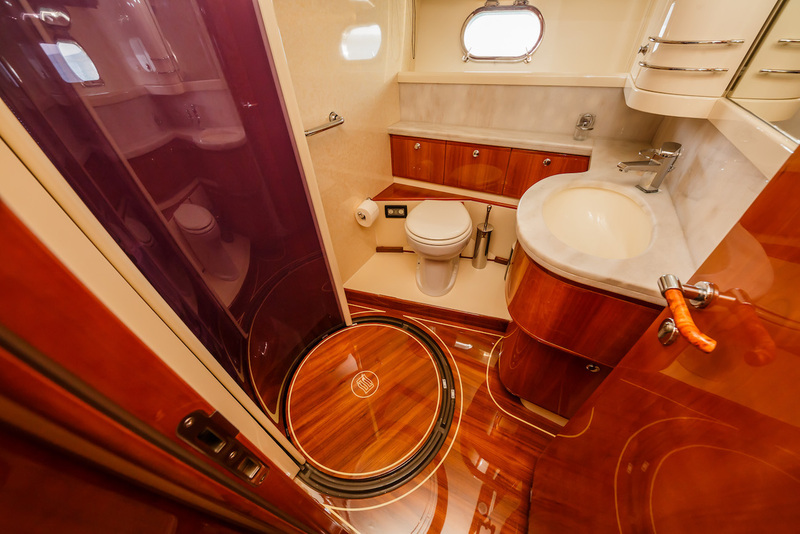 Farther forward, one twin cabin has an en-suite bathroom and the starboard side twin cabin has a bathroom across the hall. 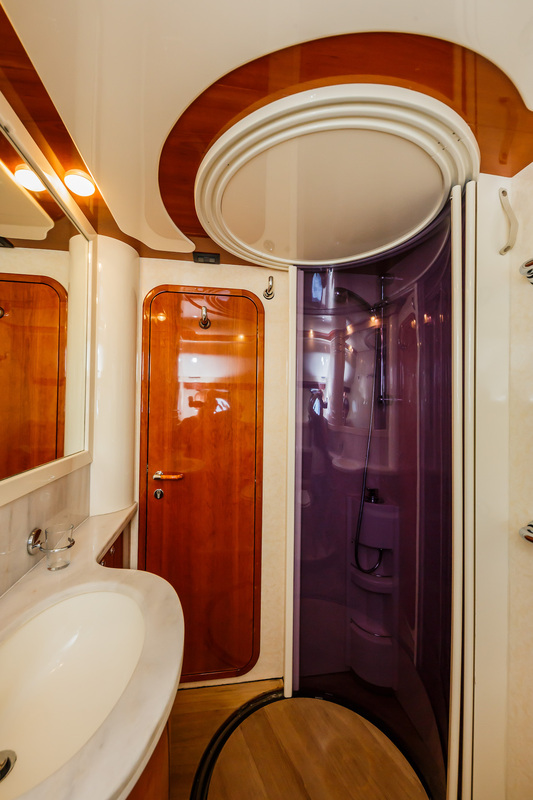 The forward VIP stateroom has two large wardrobes plus its own en-suite bathroom. 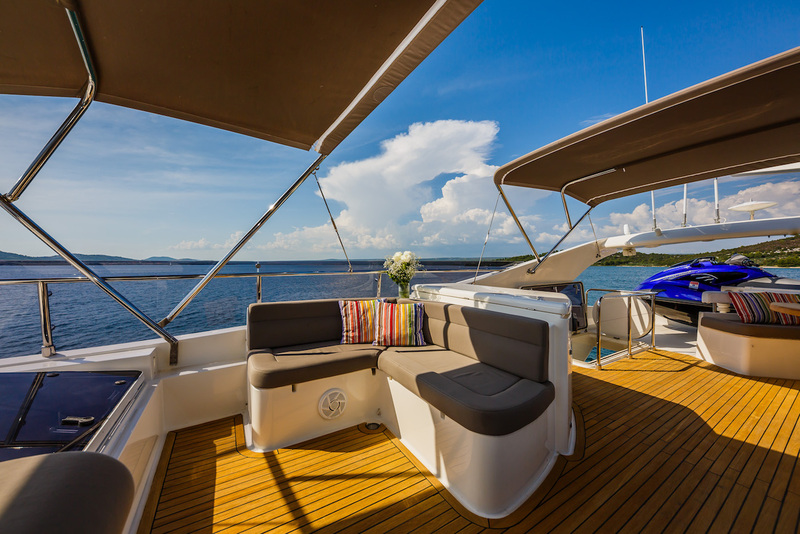 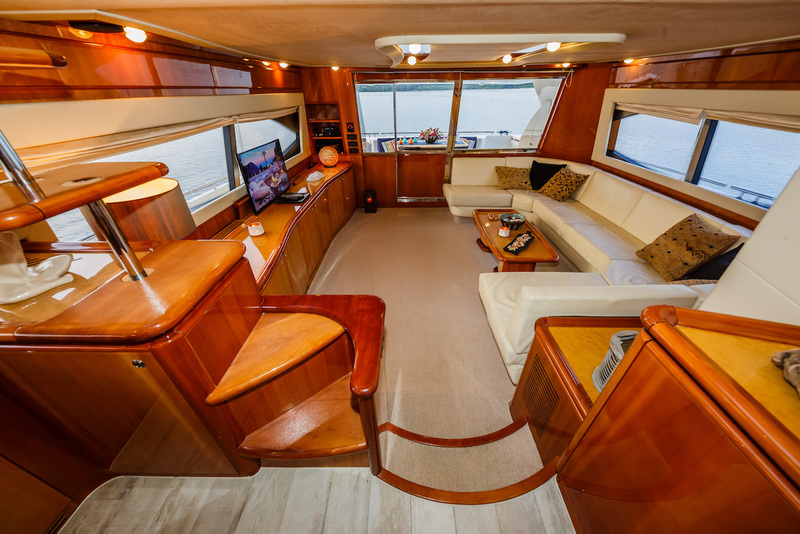 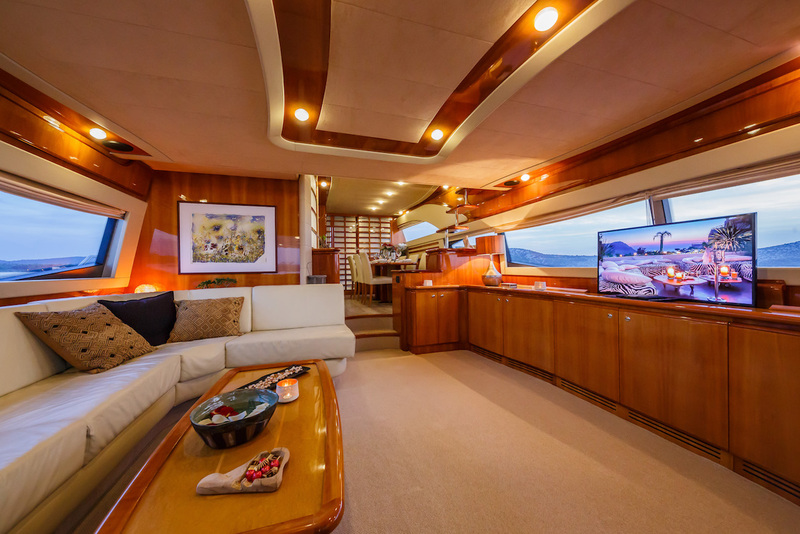 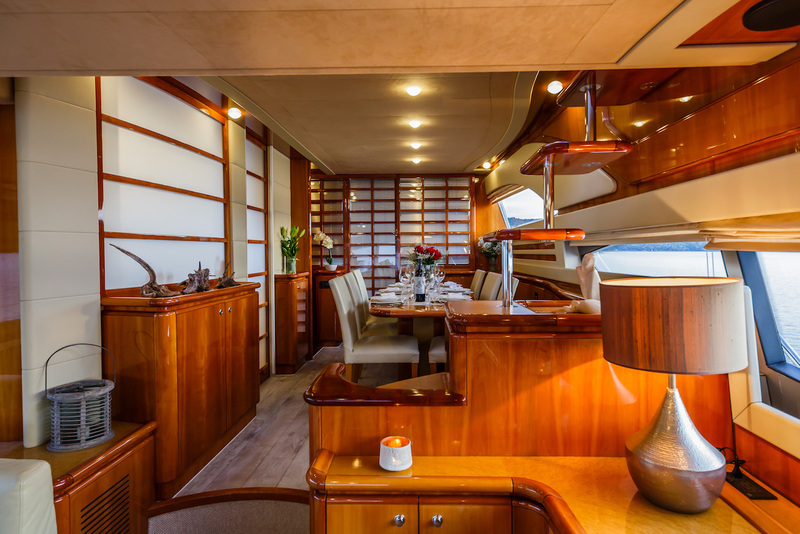 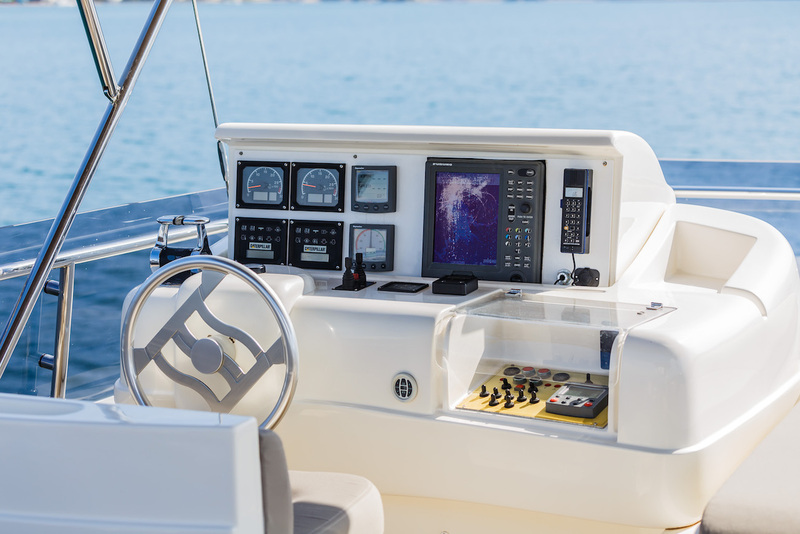 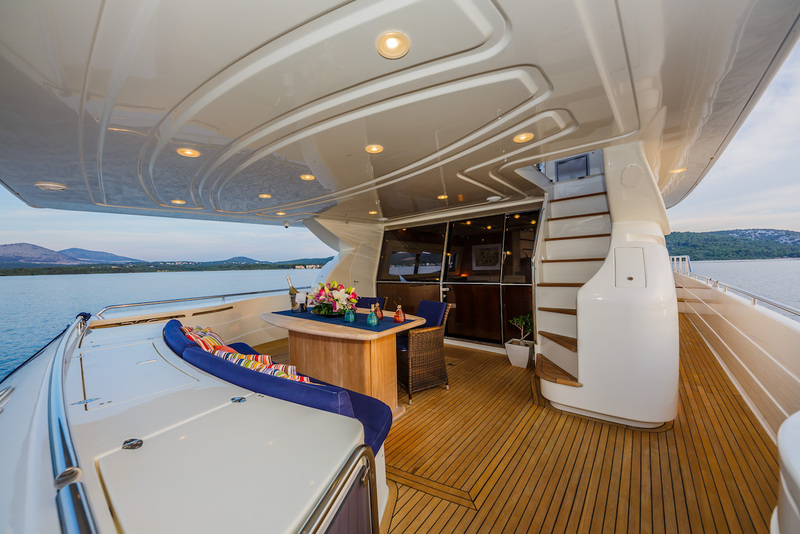 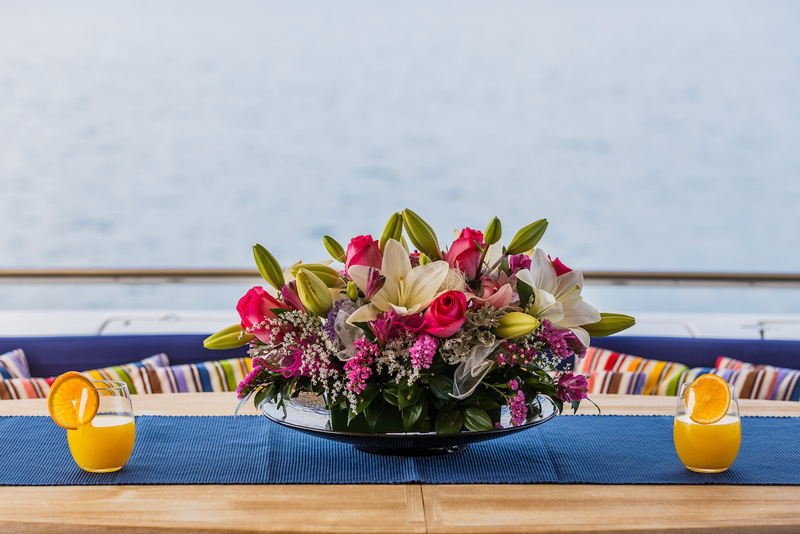 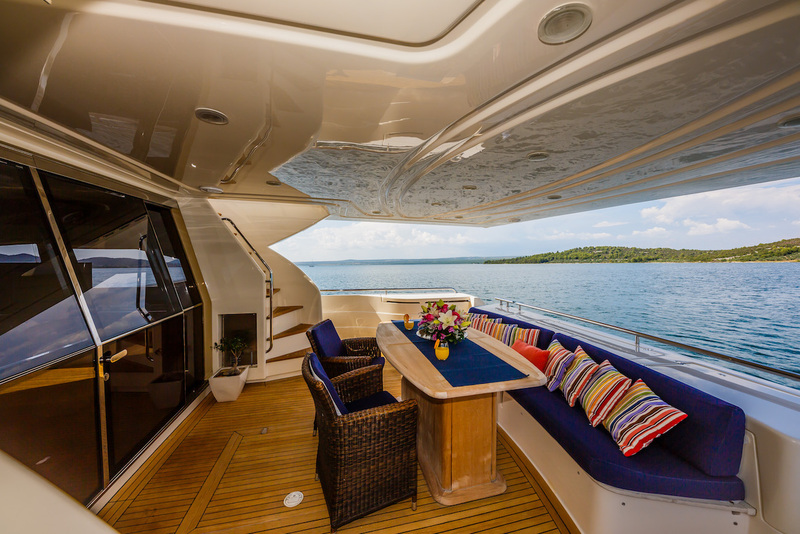 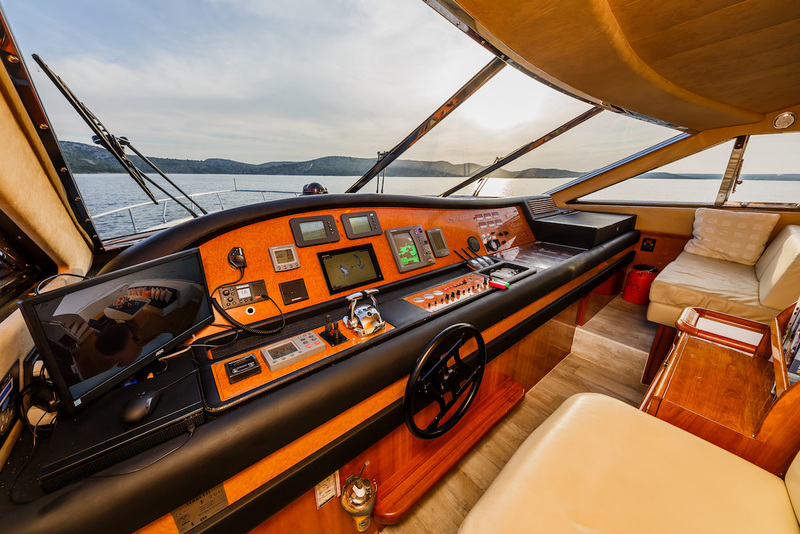 On the main deck, there is a sofa and a table beside the helm station for guests to relax and take in the forward views while remaining inside. 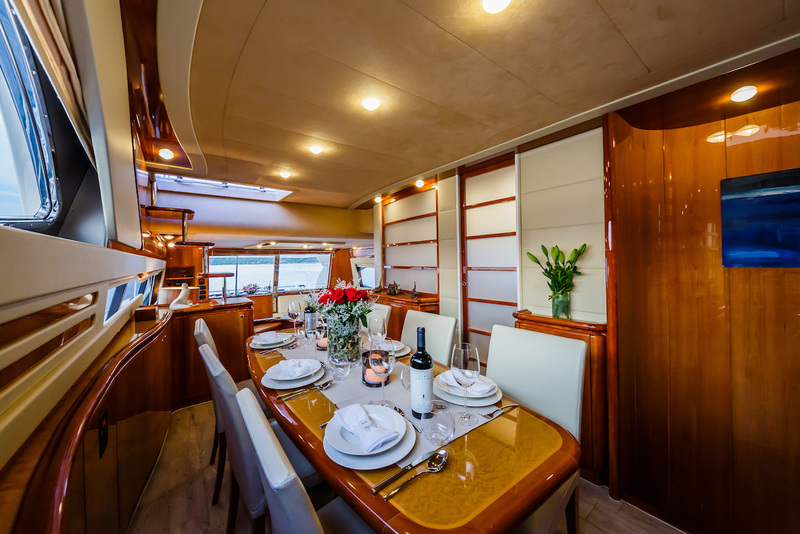 Amidships is the galley with the formal dining room seating eight guests on the starboard side. 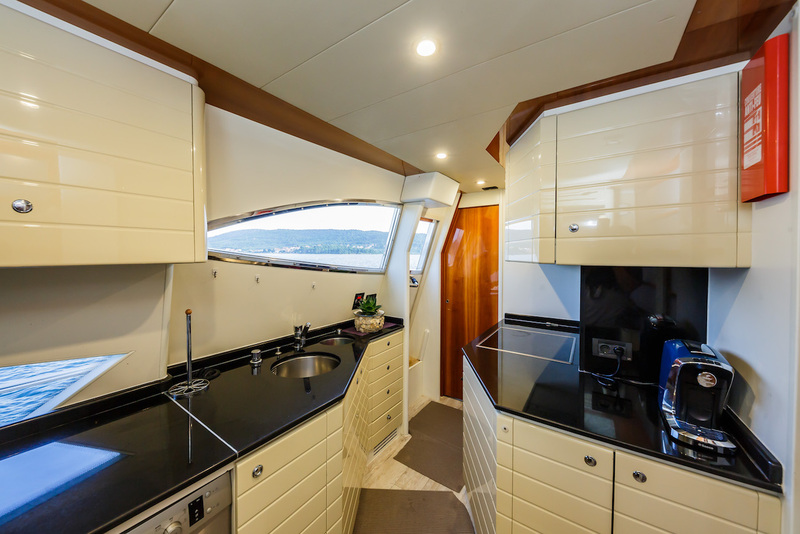 A set of steps creates a separation with the salon behind, which receives plenty of natural light through the windows running along both sides. 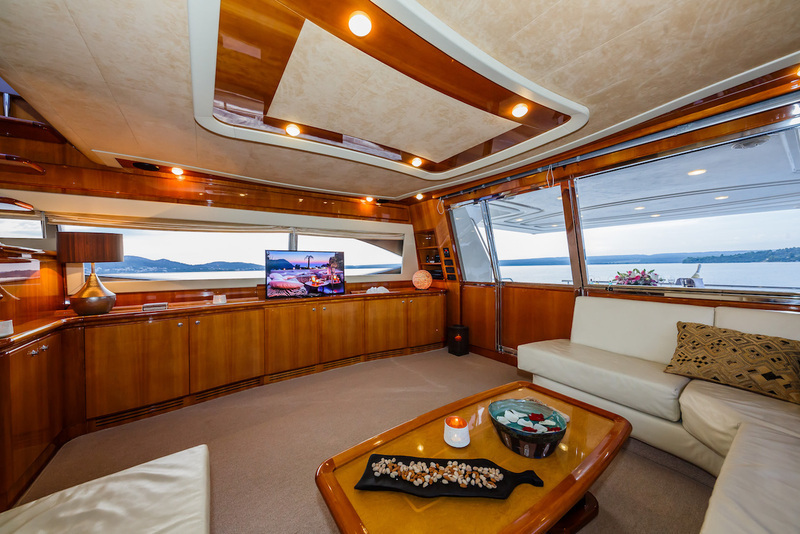 A C-shaped sofa with a coffee table is placed beneath the port windows and opposite a widescreen TV sits upon the cabinetry. 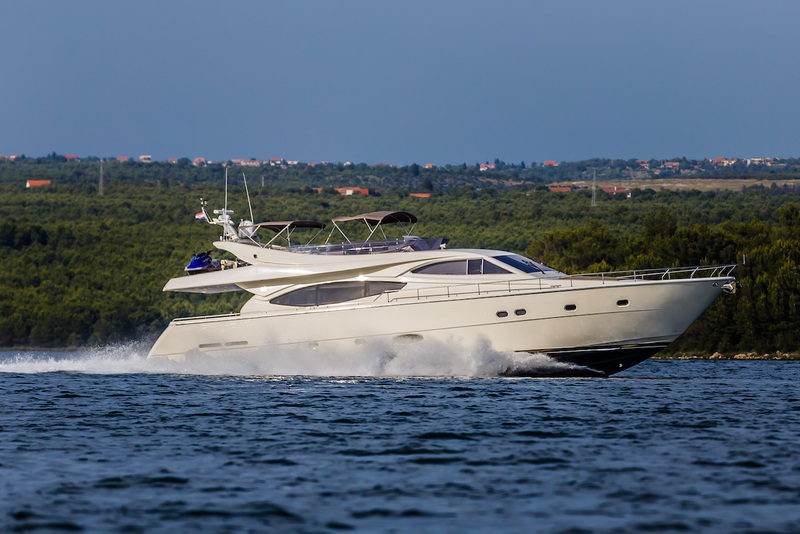 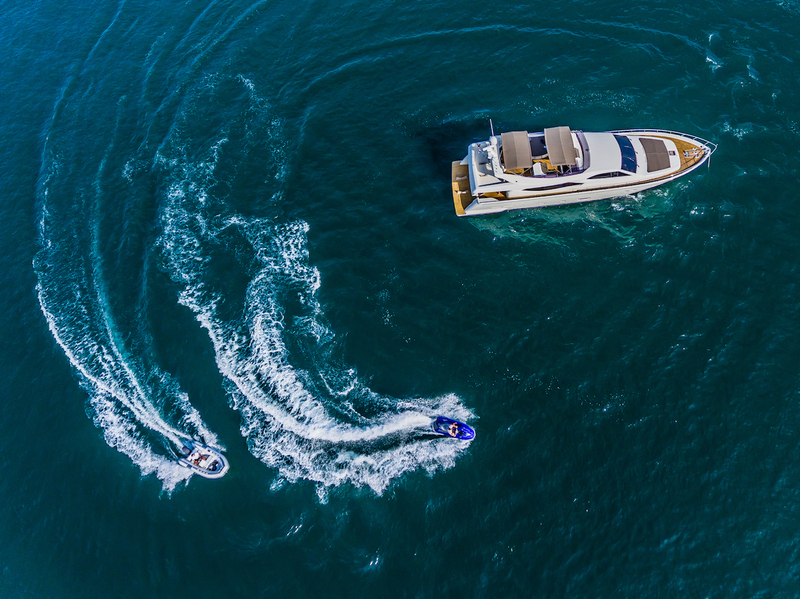 A pair of Caterpillar 1,520 HP engines provides a top speed of 33 knots and a cruising speed of 20 knots with a range of 300 nautical miles. 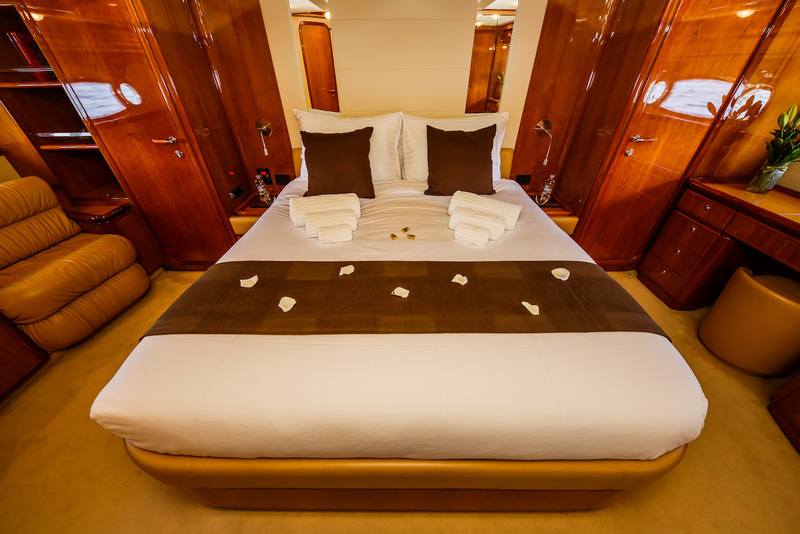 Four cabins provide overnight stay for up to eight guests, including one master cabin, one VIP cabin and two twin cabins. 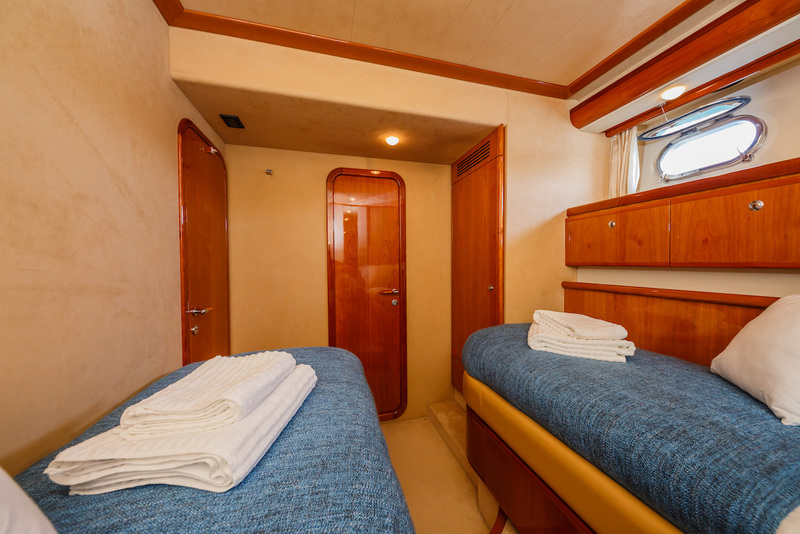 All cabins are located on the lower deck.